Fresh evidence is claimed to have surfaced on links between Nathuram Godse, the man responsible for murdering Mahatma Gandhi, and the Rashtriya Swayamsevak Sangh (RSS), this time from the from the London archives of India Office Library & Records. 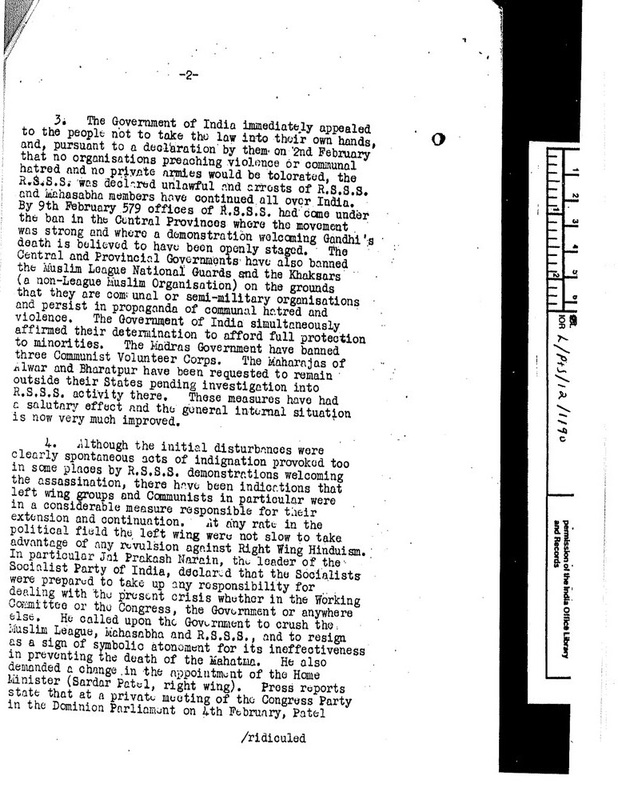 Being interpreted as fresh armour in the hands of those who seek to nail the RSS which claims it had no links with Godse, an “outward telegram” is being quoted to say that “it was sent by the British Foreign Office on February 13, 1948. The RSS claims itself to be a ‘cultural organisation’ having nothing to do with politics. 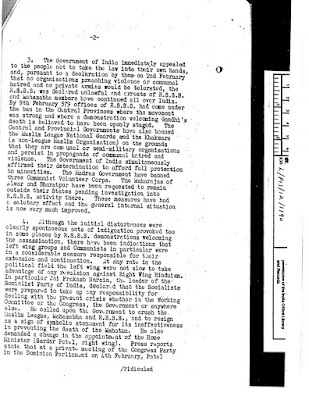 I also claims that neither the Gandhi assassination trial by the special court in Red Fort nor the two subsequent inquiry commissions had found enough evidence to link the RSS with the killing. 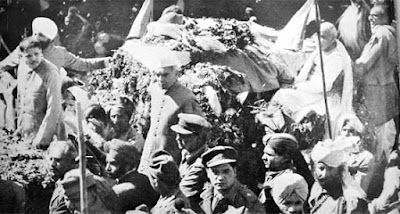 Godse, along with Narayan Apte, went to gallows on November 15, 1949 for assassinating the Father of the Nation, Mahatma Gandhi. Sixty-seven years later there are attempts continue to rehabilitate Godse as a ‘martyr’ and build temples in his honour, and a trial is on in a court in Bhiwandi (Maharashtra) against Congress vice-president Rahul Gandhi, who had linked Godse with RSS. 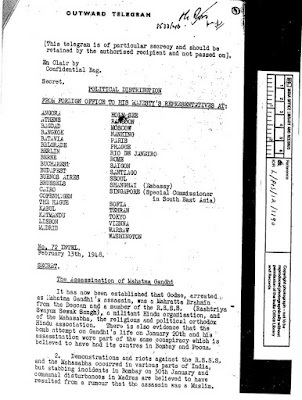 Those who have strongly pointed towards links between RSS and Godse include well known personalities like American historian and writer Larry Collins, French writer and historian Dominique Lapierre and AG Noorani, Indian lawyer, historian and author, among others. They have suggested that the RSS itself was an offshoot of the Hindu Mahasabha. Gopal Godse has also confirmed in various interviews that his brother had never left the RSS and that he might have denied association with the RSS to shield the organisation after the assassination. 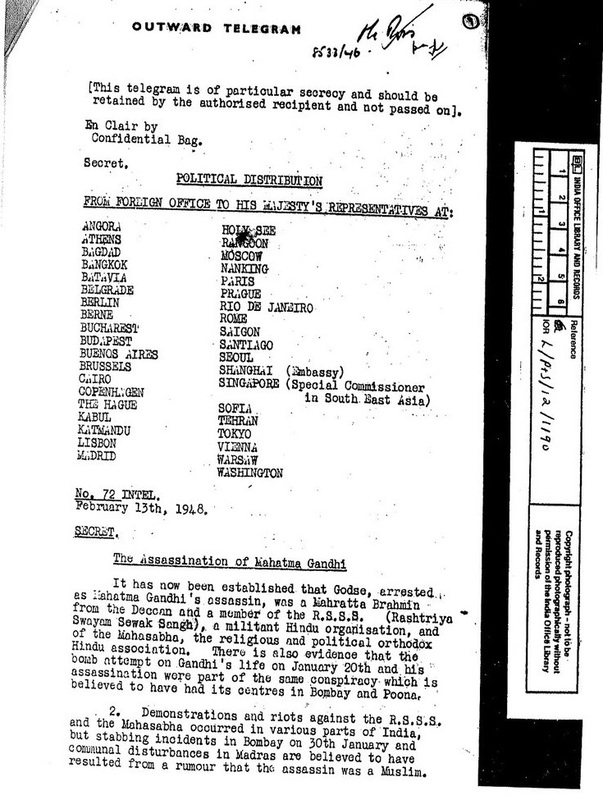 Significantly, Noorani, among others, have pointed out that Digambar Badge, the approver in Godse’s trial, had told the court that Vinayak Damodar Savarkar, who lived till 1966, was part of the conspiracy to assassin Gandhi. However, as there was not enough evidence, the court gave him the benefit of doubt. Savarkar is considered, among others, by Prime Minister Narendra Modi as top the militant freedom fighter of India.